We are dedicated to providing personal customer service. We have pens suited for one head to 200 head. Morris Stock Farm, LLC will work with you to merchandise your Wagyu cattle. Ultra sounding is available on request at Morris Stock Farm, LLC. We carry storm insurance on all cattle at no extra cost to customers. Morris Stock Farm, LLC is USDA age and source certified. We are certified to feed cattle for EU export as well as being an All Natural Stock Farm. 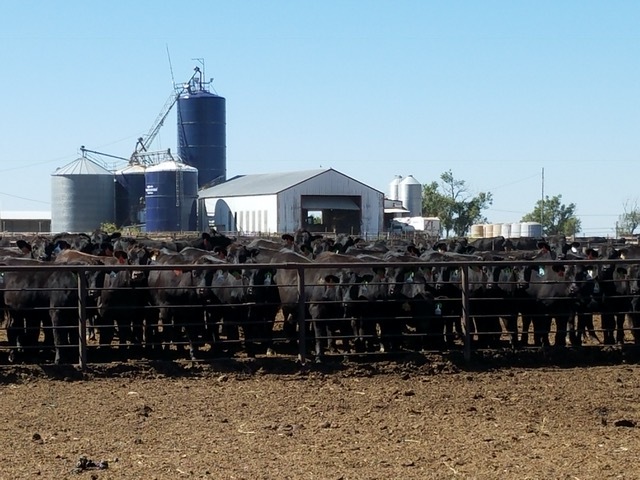 Morris Stock Farm, LLC is the only feedlot at this time feeding the product called Kobe Tech E to Wagyu Cattle. Kobe Tech E is a molasses-based product that is used to aid in better conversion, weight gain, and marbling. Kobe Tech E is available to producers for their personal feeding program. Kobe Tech E is manufactured on site by Kobe American Management, LLC. Morris Stock Farm takes pride in giving individual tailor-made service to fit each customer’s feeding goals for Wagyu Beef.